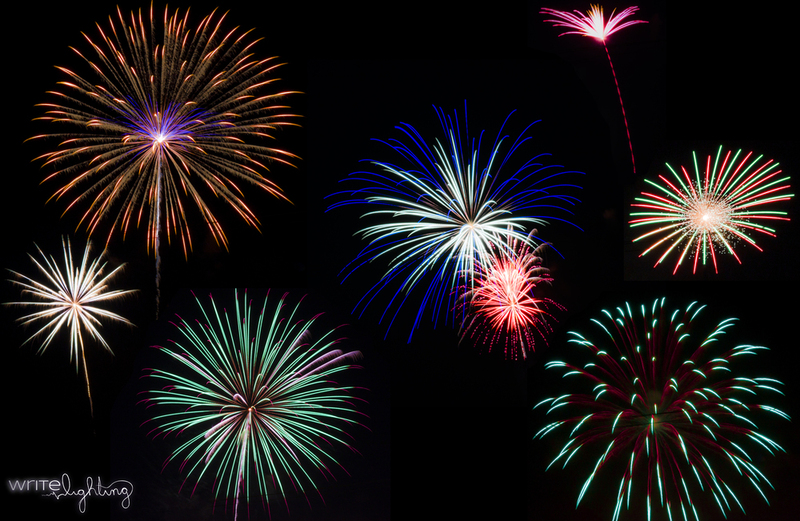 I went out and took some shots of the local firework display yesterday and when I went to look at the photos I took, I immediately got disappointed. On second (or third) glance, I actually found some I could salvage. The one shot I was hoping would turn out awesome was the red, white and blue one that I originally shot to make look like it was a blooming flower. After getting home though, it just didn't look right, so I took a bunch of fireworks I shot and composited them together to make one huge display. Hope it looks nice.